Thank you to Mayfield Metal for providing me with product in exchange for my honest review. All thoughts and opinions expresses are my own. My husband and I have never really been big on Valentine's Day, but in recent years, hubby has taken an interest in helping me garden. What does that have to do with Valentine's Day? I am an avid gardener, and nothing (aside from my family) bring me more joy than spending some time doing outdoor projects, or working at my potting bench. Having my hubby's help in the garden is a special gift to me. That said, I like to make my potting area a nice, peaceful and relaxing place for me to enjoy. My husband built the potting bench and gave it to me for Christmas a few years ago. Though I love this space, it is in desperate need of a tune up, and a little decorating couldn't hurt! I love to decorate my outdoor spaces, and I have a feeling that you might like to do the same, which is why I am so happy to introduce you to Mayfield Metal. 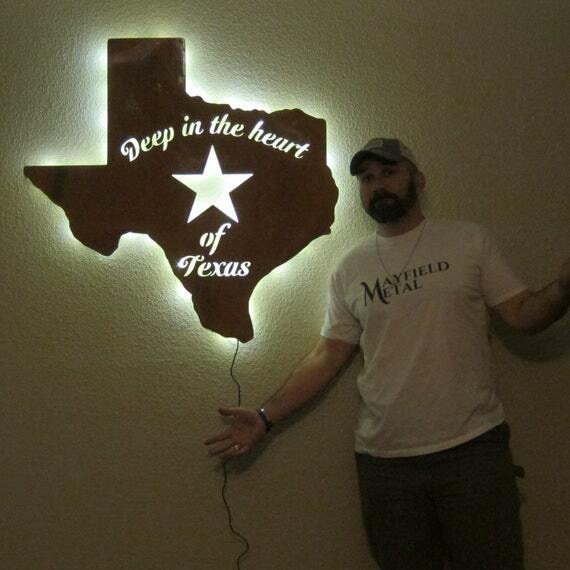 Mayfield Metal is owned by Derek, and based out of Texas. I came across Derek's gorgeous metalwork, and fell in love with the designs. Derek designed a custom metal horseshoe piece for my family, and I couldn't wait to see how it turned out! 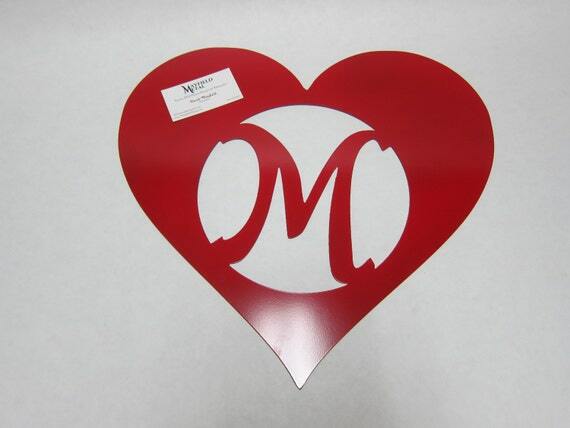 Mayfield Metal is your home for metal signs, wall art, rustic decor, horseshoe art, commercial signage, custom CNC plasma fabrication and much more. 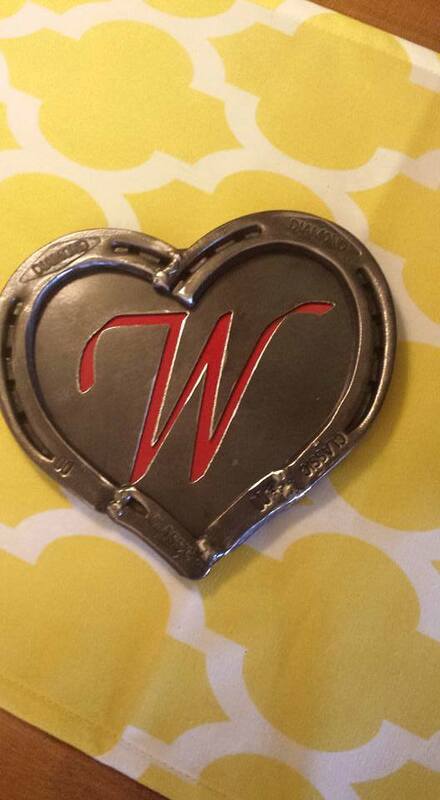 Look at this gorgeous metal horseshoe heart with the W in the middle that was made for my family! 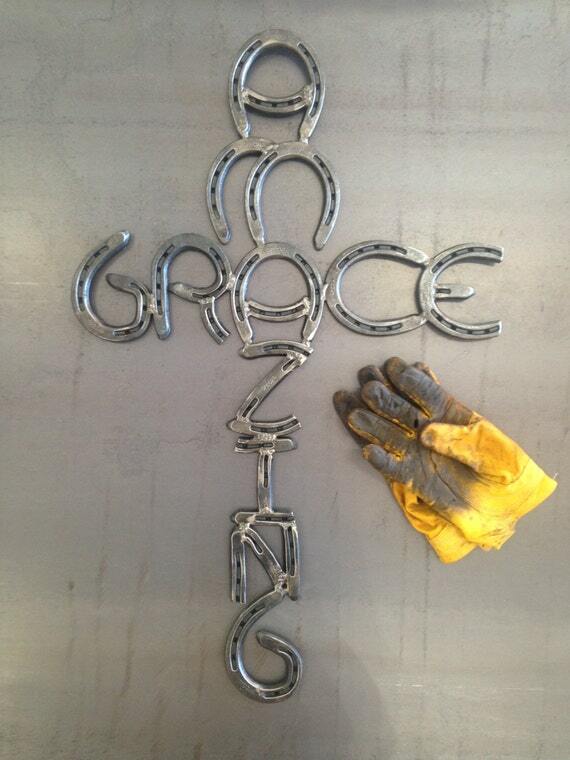 I don't know a lot about metalworking, but I know that this beautiful piece of art/decor took some time to make. It's a lovely custom piece of metal art that we will enjoy for many years to come. The horseshoes are beautiful, and bring back a lot of childhood memories of being on my grandparents' farm in Missouri. This is a process to make- the horseshoes are just one component to this piece of art. This unique piece offered by Mayfield Metal can be the centerpiece of any living area. It is 100% handmade and will arrive on your doorstep with a durable clear coat so that it can be passed down for generations. This is an original design, and of course no two turn out exactly the same (Although all are top quality)! This is made of brand new Made in the USA shoes. Each shoe is individually polished before assembly, and the whole piece is polished again after assembly. It is then clear coated for durability and to prevent rust. 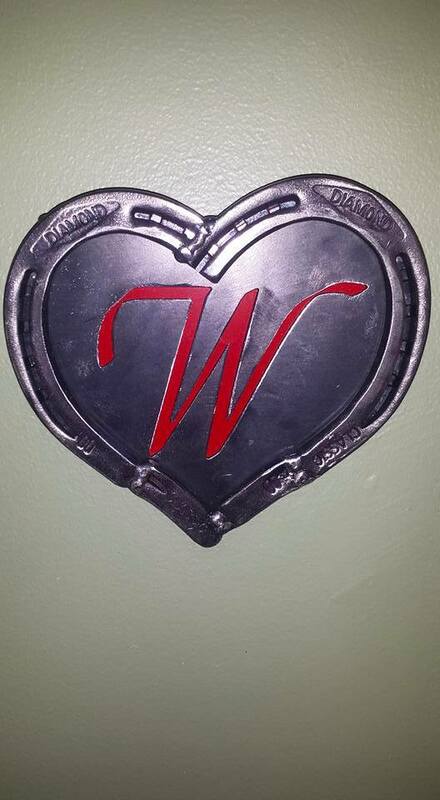 This piece has an added message CNC plasma cut and welded into the heart. It is then backed by a gloss red backing plate to make the message really pop! 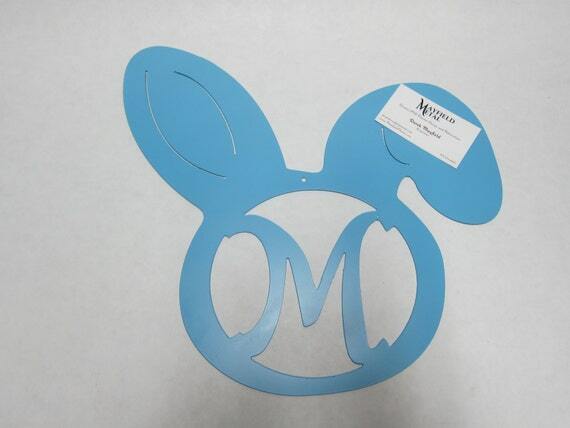 This can be painted in the color of your choice, and customization is definitely available for the message as well. Be creative and add initials, a picture, logo, or even another heart. Let us know how we can make yours, yours! A metal hanger is added to the back, so you can hang this pretty piece wherever you like! I love the polished look that this piece has, and the red W really pops! A lovely addition to our Valentine's Day decor! For now, I have the heart hanging in our dining room, along with some of the other Valentine's Day decor that we have out. 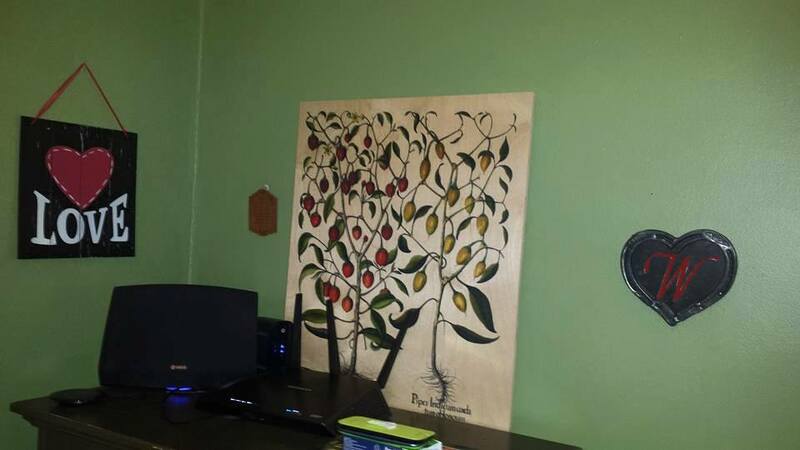 I can't wait to find just the right spot to hang this at my potting bench when it warms up a little bit, though! This is such a beautiful, handcrafted gift! It would be such a nice gift for Valentine's Day, a birthday, wedding gift, etc. It's a gorgeous personalized decor piece that can be passed down to future generations, as well! Derek would love to create a custom metal piece for you! 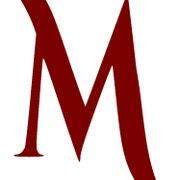 Simply contact him with your idea, or play off of one of the available designs from Mayfield Metal! 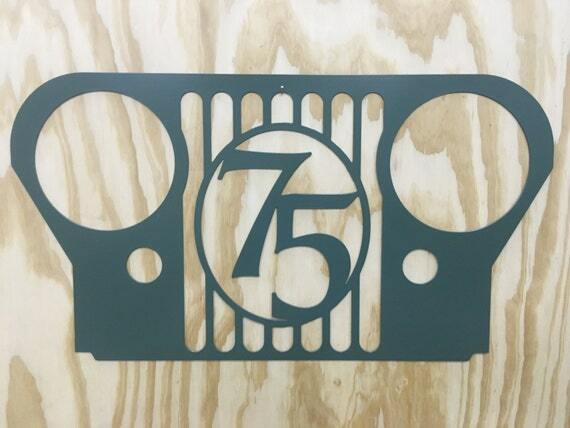 I am loving the JEEP decor, and I now know what I want to get my JEEP fanatic brother-in-law for Christmas! 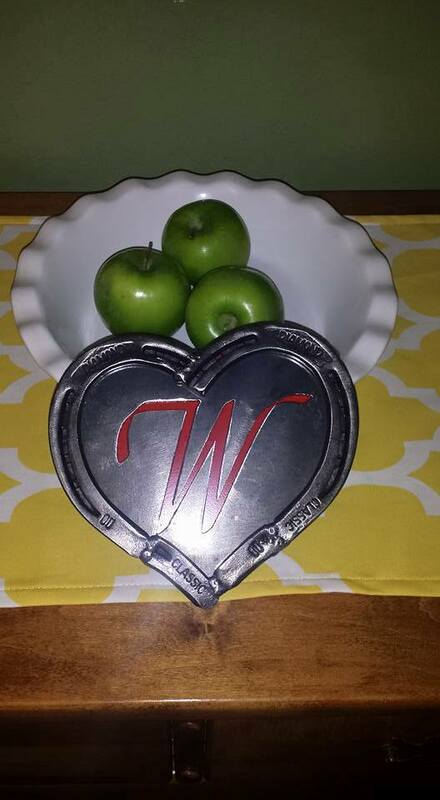 I am so thrilled with the beautiful horseshoe heart that we received, and am so excited to show it off to all who enter our home. Head on over to Mayfield Metal to browse all of the beautiful and fun designs there are to choose from. 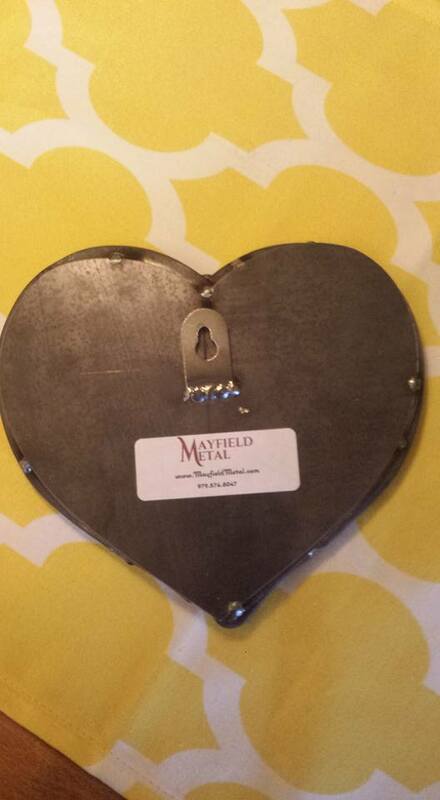 Connect with Mayfield Metal on Etsy and Facebook. Special thanks to Derek of Mayfield Metal for allowing me to share about his beautiful metal decor, and wonderful business. Look for Mayfied Metal in our 2017 Valentine's Day Gift Guide!